It's time to take a look back into history. With the NBA at the start of its 67th season, it might have some people wondering about the origin of the greatest basketball league on the planet. For many people, there's an image of the league kind of starting out of thin air. Of course, nothing could be farther from the truth. Twelve years prior to the introduction of the NBA, a little basketball league sprang up in the Midwest in 1937. The league was a rather informal endeavor despite having sponsorship from three elite US corporations, namely General Electric, Firestone and Goodyear. In the early years, there were 13 teams that were required to play at least 10 games, including road games. In 1940, the league appointed its first president in the person of Chicago newspaper sports editor Leo Fischer, whose primary responsibility was to bring structure to the league. He immediately instituted a formal schedule, adding as many games as he could. He also actively sought out other teams and players to join the league. Without any meaningful competition, the best basketball players in the land were joining the NBL as a means to fulfil their dreams of playing professional basketball. In June of 1946, the NBL received a viable challenge to its monopoly when the BAA was formed from organized teams from along the east coast. With big market teams like the Minneapolis Lakers, Philadelphia Warriors and Baltimore Bullets joining the fray, the money for players was available in the new league, forcing salary offers to escalate in the NBL. The competition for players and fans became problematic as the BAA began playing in major arenas in order to accommodate more fans. With higher salaries and bigger arenas, the better players were choosing the BAA over the NBL. Since the NBL consisted of primarily small market teams with limited resources, pressure came to bear on NBL owners to seek a solution. That solution can in the form of a merger in 1949. In 1949, the NBA became the official professional basketball league in America. The structure of the more advanced BAA was used as the basis for the merger as NBL franchises either joined the new league or disbanded. Technically, the NBA's founding date is considered the day the BAA was formed. 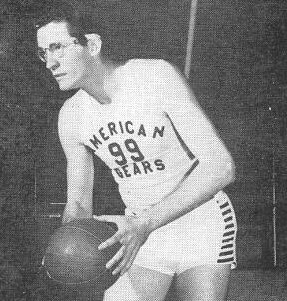 The statistics derived from the BAA's first three years are included as NBA stats as long as the players involved played in the new league for at least one year after the merger. If not, those stats were dropped. The first NBA game was played on November 1, 1946, in Toronto, Ontario, Canada. The game was played between the Toronto Huskies and the New York Knickerbockers at the old Maple Leaf Gardens in Toronto. The new NBA started with 17 teams, but spent the next 4 years dwindling to a league low of 8 teams. All eight of those franchises still exist, though some teams have relocated through the years. As they stand today, those eight teams include the Atlanta Hawks, Boston Celtics, Detroit Pistons, Golden State Warriors, Los Angeles Lakers, New York Knickerbockers, Philadelphia 76ers and the Sacramento Kings. This article was written by sports writer John Hawthorne. John knows that there is nothing more satisfying than beating your bookmaker with the free bets hey just awarded you. If you can manage to turn those free bets into a real bankroll, it will drive your bookmaker nuts. If you are interested in learning more about John views when it comes to this aspect of basketball then visit www.freebookmakersbetsandbonuses.com.au.